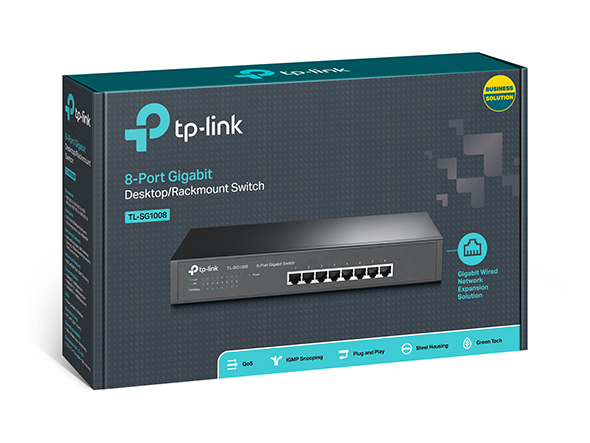 The auto features of this gigabit switch make installation plug and play and hassle-free. No configuring is required. Auto MDI/MDI-X crossover on all ports eliminate the need for crossover cables or uplink ports. 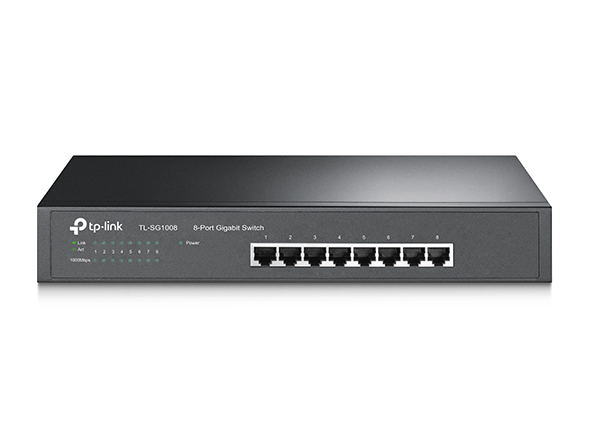 Auto-negotiation on each port senses the link speed of a network device (either 10, 100 or 1000 Mbps) and intelligently adjusts for compatibility and optimal performance. Compact size shell make it ideal for desktops with limited space while it is also rackmountable, convenient and safe. Dynamic LED lights provide real-time work status display and basic fault diagnosis. TL-SG1008 features the latest innovative energy-efficient technologies that can greatly expand your network capacity with much less power. It automatically adjusts power consumption according to the link status and cable length to limit the carbon footprint of your network.